Tooth infection is a major cause of toothache. But as well as being painful, an untreated abscessed tooth can sometimes progress into a serious medical emergency. Infection from an abscessed tooth can spread into your neck, causing difficulty swallowing and breathing. Time for the ER. But don't panic just yet! If you're reading this, the chances are that you've just got a sore tooth at this point, and want to find out what the cause is, and what you can do about it. But if you DO have a painful tooth with a swollen gum and you ARE having trouble swallowing or breathing, STOP READING RIGHT NOW, AND GET YOURSELF TO THE NEAREST EMERGENCY ROOM. NOW. OK, are the rest of you still here? Phew! I had to put that bit in there, just in case anybody with a serious tooth abscess is trying to treat it themselves by getting advice off websites. OK, I think my website is great, but I can't treat people by Fedex! Those of you with a seriously abscessed tooth (are you still here?) need to get treatment immediately. As we've seen, the main symptoms of any abscessed tooth are pain and swelling. You can read more about this at Tooth Abscess Symptoms. Nearly always, when treating an abscess caused by a dead tooth, tooth abscess antibiotics will be needed. But antibiotics are not the whole solution. If you rely on antibiotics and nothing else, the infection will come back. 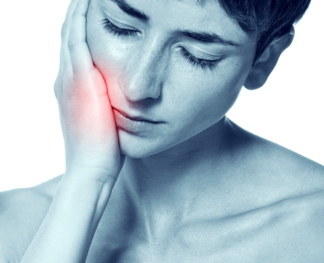 To find out what else is involved, take a look at Tooth Abscess Treatment. ANY tooth can die and get infected, or get a gum infection next to it. RARELY, this can spread and lead to a Jaw Bone Infection. This can also happen after a tooth is extracted. To read more about this, go to Jaw Bone Infection. 1. Wisdom teeth infection. This is a gum infection around a wisdom tooth that is coming through. The wisdom tooth itself is healthy, but as it grows through the gum, the gum can get pretty sore. This is normal. At this stage there's no infection, you're just "teething". But what if the wisdom tooth is coming through at an angle, and gets jammed against the next tooth? Dentists call it "impacted". Check out the wisdom teeth link above for more. Also, you can get an infection in the gum over a wisdom tooth that is growing in straight. You can find out more about this at Pericoronitis. 2. If you get a tooth taken out, you can get a Tooth Extraction Infection, or a dry socket. What a drag! You get a tooth pulled because it's causing a problem, and you still end up with pain! How can this happen? Find out more by clicking on the link. Where do these infections come from? There are several possibilities. Your mouth is full of bacteria. Mostly, the good guys live in balance with the bad guys. But sometimes the "bad guys" get the upper hand. This happens when the bugs find somewhere to hide, where your immune system can't reach them (inside a dead tooth), or under a flap of gum where saliva, mouthwashes and brushes can't go. If your immune system can't get to the bacteria, then they have a chance to breed and set up an infection. Normally, the symptoms of a tooth infection include discomfort or even pain, a swollen gum, and if you look carefully, you'll probably see that the gum is red. Most tooth infections or gum infections hurt. But ONE type doesn't. Which is bad, because you don't know anything is wrong! This is gum disease (periodontal disease). This is probably the least painful of all the tooth infections, but it is also the most destructive because it frequently goes untreated. This can result in many teeth getting loose, and having to be pulled. It's caused by plaque collecting at the necks of the teeth, next to the gum edge, and also in between the teeth. If this is not brushed and flossed off every day, the bacteria in the plaque start to attack the gums. But as we said, it's painless. So you don't know anything's wrong. You just carry on brushing your teeth the same old way! Find out more at Causes of gum disease. So, a tooth infection can lead to a tooth abscess. 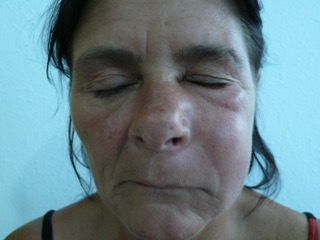 Once this happens, the abscessed tooth can get worse. If you don't get it treated, it may become a medical emergency. But 99% of tooth infections never get that far. They are painful enough to force you to get treatment sooner rather than later! My book explains how to tell if you REALLY need to see a dentist, or whether you can save time and money by using a home remedy! I have written all about the reasons for toothache, swollen gums and tooth infections, how to tell the different causes apart from each other, and ALL your possible treatment options. 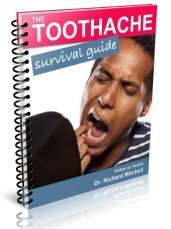 Click HERE to read more about The Toothache Survival Guide, available to download for just $9.95.